The Emerald Cup has brought an audience of tens of thousands to the Sonoma County fairgrounds each of the last four years, and the contest’s environmental focus sets it apart from other cannabis competitions. But this year, pesticides upended many of the winners of the three-day marijuana festival in December known for its focus on organic and sustainable outdoor farming. 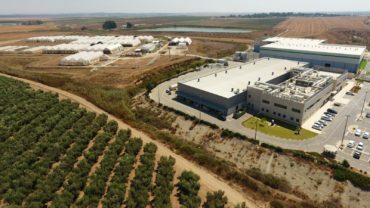 About 25 percent of 263 samples in the concentrates categories submitted from producers across the state were disqualified, mostly because they tested positive for pesticides, according to the event’s official laboratory, Santa Cruz-based SC Labs. The issue wasn’t uncovered until after the Dec. 11-13 contest due to a late crush of entries plus internal miscommunication about deadlines, said Emerald Cup founder Tim Blake. Blake said he was troubled by the discovery and has apologized to contestants. Just over 5 percent of cannabis flower samples showed evidence of pesticides — 40 out of 735 samples entered into the contest — according to Alec Dixon, a co-founder of SC Labs, which got its start in 2010 as the official testing laboratory for the Emerald Cup. Pesticides were far more prevalent among concentrates, which includes several categories, such as CO2, rosin and dry sieve. The disqualifications bumped up a concentrate by Sonoma County’s Cult Classics Seeds from No. 3 to No. 1 in the dry sieve category — named for the sifting process that separates resin glands from the rest of the plant. That sample was entered by a Sebastopol man who goes by the name Marcus Walker, a breeder of marijuana strains best suited for concentrates. Walker said the contest organizers failed to list his product — called Xenu (Hippy Slayer x R6) — in the No. 3 spot until the two disqualifications boosted him to No. 1. Dixon said it’s logical that concentrating what’s in the plant would also concentrate anything else, making it more likely chemicals would be detected. The Emerald Cup began testing for pesticides last year — and is widely believed to have been the first cannabis contest to do so. In 2015, Blake vowed from the event stage to publish the names of products caught with evidence of pesticide use. Blake said his aim was not to humiliate people but push for transparency and a cleaner industry. All tests results were published online the day of the event. Dixon said other events followed the Emerald Cup’s lead, including two San Bernardino County festivals: Chalice California held in July and the Happy Place held around New Year’s Eve. Some in the industry say the Emerald Cup stands out among a glut of cannabis contests for its focus on organic farming, and for them, the prevalence of pesticides in concentrates was disappointing. “There is no reason to use pesticides not specified for food production when there are safe, responsible methods of controlling pests,” said Oakland-based horticulturist and marijuana activist Ed Rosenthal, who has been a speaker at prior Emerald Cups. 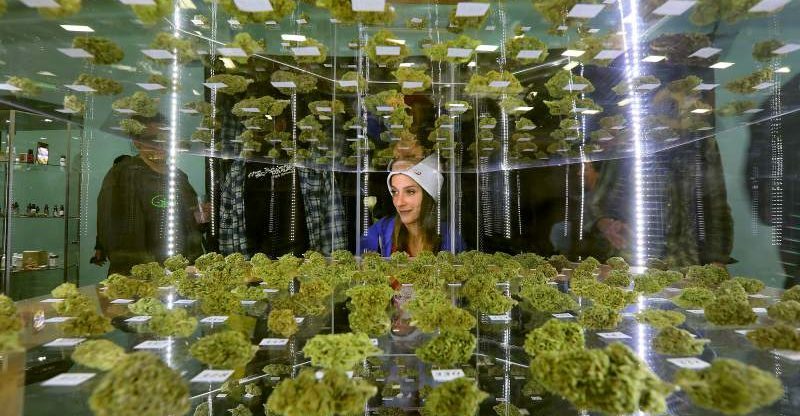 Tawnie Logan, executive director of the Sonoma County Growers Association, said the Emerald Cup is one of the few contests that looks beyond potency and taste. Marijuana concentrates are made by extracting certain compounds from the cannabis plant to get a condensed amount of cannabinoids, a variety of compounds in marijuana including the most sought after: THC and CBD. Common extraction methods include using solvents like butane or CO2 extraction machines, but methods can also be low-tech like sifting freeze-dried flowers. High Times magazine, which holds eight to 10 contests a year in various parts of the country, doesn’t test for pesticides, said the publication’s competition director Nico Escondido. Contestant samples are analyzed for mold, synthetic flavors and residual solvencies, like what might be leftover after butane extraction, but not pesticides. He said their contests generally feature products from marijuana grown indoors, where he believes pesticides are used less. One of the disqualified Emerald Cup products was created by longtime marijuana farmer Joey Burger, whose Mendo Hideout farm is in the Bell Springs area of northern Mendocino County. Burger said he hasn’t yet seen the results, but suspects the testing showed he used a PyGanic product derived from chrysanthemums that’s listed as “allowed with restrictions” by the Oregon-based Organic Materials Review Institute. He used it last summer when battling russet mites, a persistent pest he hadn’t dealt with before during his decades-long career growing marijuana. Burger said he didn’t know the PyGanic product he was using wasn’t approved for organic farms in California until his disqualification. Mendo Hideout is now researching other ways of manging the pest that will likely involve some type of predatory bug. “We still think we’re putting out a good clean product, and every year we’re striving to do a better job,” Burger said. Julie Johnson is a staff writer and cannabis reporter with The Press Democrat in Santa Rosa. On Twitter @jjpressdem.